Five finalists were short-listed in this category which acknowledges and rewards the crucial role played by dealership-based sales teams. 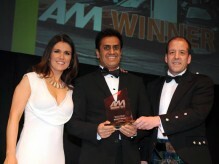 The judges looked for clear evidence of innovative sales programmes and genuine teamwork when selecting the winner. 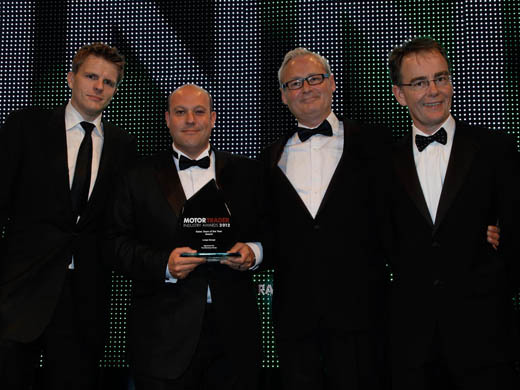 This is not the first time Lodge Garage has won a prestigious Motor Trader award, last year the dealership scooped the ‘Dealer Principal of the Year’ and ‘Sales Manager of the Year’ titles. Having only entered the highly competitive awards programme for the first time last year, Lodge Garage is clearly on a winner’s streak. 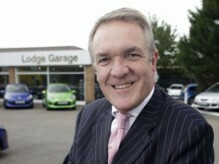 Former employee of Mazda UK, Timms took the brave decision three years ago to change direction and try his talents in the retail business so, he purchased the Lodge Garage business in September 2009. Since then the dealership has gone from strength to strength with Floyd leading what is now, an award-winning team to success. For Mazda sales, servicing, parts and repairs, Lodge Garage promises an unrivalled experience driven by a passion for Mazda cars which ensures exceptional customer care and results in unusually high customer loyalty. Lodge Garage stocks the entire Mazda range from the all-new Mazda CX-5 compact SUV, the iconic Mazda MX-5 Kuro special edition sportscar, the compact Mazda2 Venture and the stylish Mazda3 Tamura.